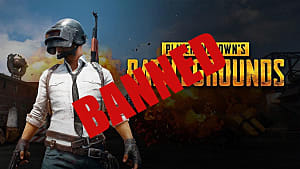 Meta games are a new concept that the gaming world is really starting to explore. 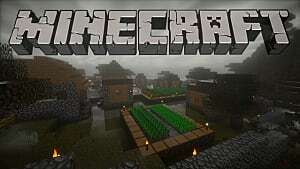 These games take the person playing the game and bring them into their game world making for a new experience that when done well, is pretty fantastic. When I say that the game brings the player into the game, I'm not talking about the immersive aspect as all other games attempt to do. I mean that they make the player an actual character of the game. These games acknowledge that the person playing the game is an actual member of their world. 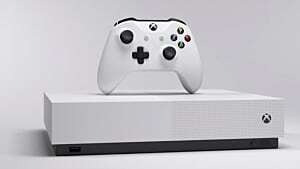 Sometimes they make the actual player a character in the game, or they acknowledge that the player character is being controlled by some outside entity. Undertale is probably the best game to show this concept being executed almost flawlessly. 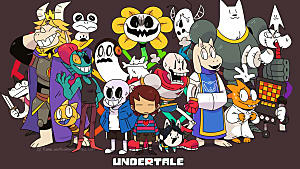 Undertale was able to tell an amazing story with unique characters that all had their own motivations that stayed consistent. It has gameplay that was engaging and decisions that felt like they mattered. On top of all of that, they built an extremely interesting world with a lore that had layers -- people are still finding new pieces of lore to this day. All of these aspects put together made for an extremely memorable game; and one that defined a new wave in gaming. 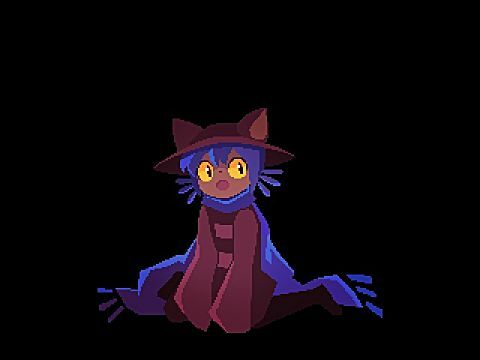 OneShot is a game that tries to use this meta aspect to tell its story. It bills itself as a "meta puzzle adventure game". In this game, you control the character, Niko. The game opens with Niko waking up in an abandoned house. From here you are able to lead Niko around the house to find a way out. It's here that we find a television remote and are introduced to the inventory system. Throughout the game, you will pick up various items to interact with different objects you may find in the game's world. 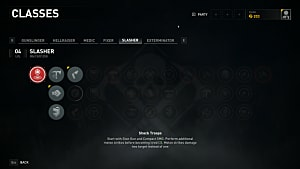 In this inventory menu, you will also be able to combine different items you have found to create new items. All of these items will be used to solve the various puzzles you will come across throughout the game. After figuring out how the inventory system works, you are able to take the equipped television remote to the window of the bedroom where Niko woke up to find out the password for a computer found in the same room. Successfully logging into the computer allows for the player to be introduced to the overarching goal for the game. 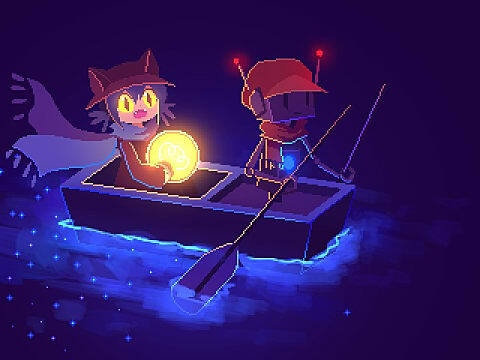 You are told that the world you are in isn't worth saving but if you still want to try, you must guide Niko to return back home. The game then tells you through a computer pop-up box that you only have one shot. This is where we are introduced to the whole meta aspect of the game. From here you are introduced to the next puzzle which opens up the basement of the abandoned house for Niko to find a light bulb. Upon picking up the light bulb, it lights up. This allows for a dim light to illuminate the house Niko is in. With this light, Niko finds a door with a strange slot in it. Niko places the light bulb into the slot and is transported to another world. Upon waking up in this new world, Niko exits the abandoned train car that he is transported to and finds a whole new world just outside. It's a pretty barren place (hence the reason the place is called The Barrens) but after some wandering, Niko comes across a robot who proclaims that Niko must be the messiah sent to replace the sun in the tower in the center of the world. Niko is able to question the robot further to find out more about the world he is in, but most importantly Niko is told that he is able to speak directly with the god of this world, you. That's you as in the person playing the game. 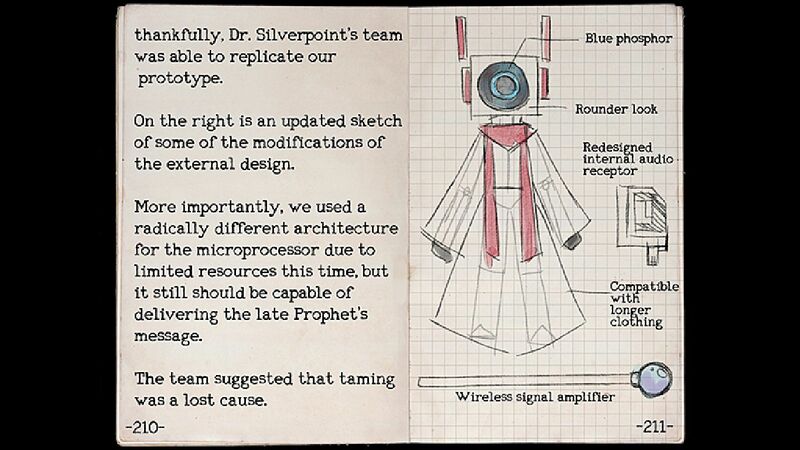 After having this discussion with the robot, you are told that you must find your way to the center city where the entrance to the tower is to replace the sun. 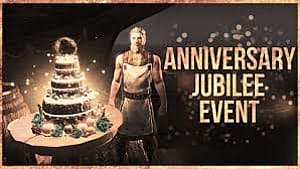 This is accomplished by solving different puzzles to make your way through the three different sections of the world; The Barrens, The Glen, and The Refuge. From here it's just completing puzzles until you and Niko make it to the tower to replace the sun. 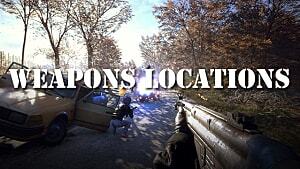 Throughout the game, you come across different things that help build the world of the game. One of the biggest pieces we come across is the fact that robots are all over the world but many of them are not what the game calls "tamed." Through inferring, taming is the process of making robots more human-like. Tamed robots have their own personality and can make their own decisions. 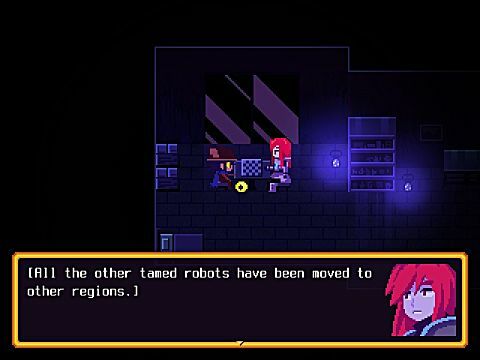 Throughout the game, you will come across robots that aren't able to do something because they haven't been tamed. They always say it's because there wasn't enough time. This honestly leads to one of my biggest gripes with the game. It just felt like there was a piece of the story I was missing. There are a lot of interesting threads in the game that weave together to tell you the back story of the world you are traveling through. Each zone of the world has it's own unique culture and feel. On top of that, they all have their own lore. This is all cool, but it never really amounted to anything for me. 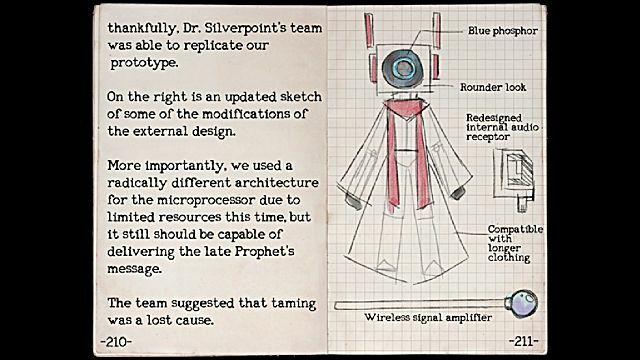 All of these pieces of information you come across feel like they are building up to some amazing reveal but in the end, that reveal never comes. I never found an option to help tame the robots or even make them a big consideration for the endgame. On top of this, it seems like everybody in the world you come across has just made peace with the fact that the world is going to end. This is made clearest in the Refuge. On multiple occasions, I ran across people who said that even if the sun was replaced, the world was still doomed. Looking back at it, I feel like this is to help make the big decision at the end of the game feel a little bit more impactful, but to me, it just felt like there was a piece of the story I was missing. Let's talk about the meta aspect of the game for a bit because I feel that this is one of the better parts of the game. As I said earlier, you learn that you are the god of this world. To help reinforce that, you and Niko will come across different computer terminals that will place a file of some kind on your computer that you must find and use to help complete the puzzle you're working on. I thought this was a really cool aspect. 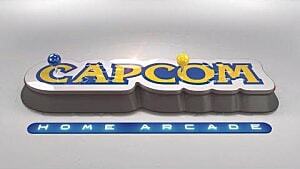 In most situations, it was cool to be actually part of the game's world. There was one occasion that I felt tore this to shreds. Let me say before you read on, this is one of the last things you do in the game and if you intend on playing this, you will be spoiled on a few things. This is your warning. One of the later puzzles leaves a note on your desktop telling you to open an application that you find in your documents folder. Upon opening it, you are greeted with a single white clover in on a black background. After opening the application, you are told to open back up the game. 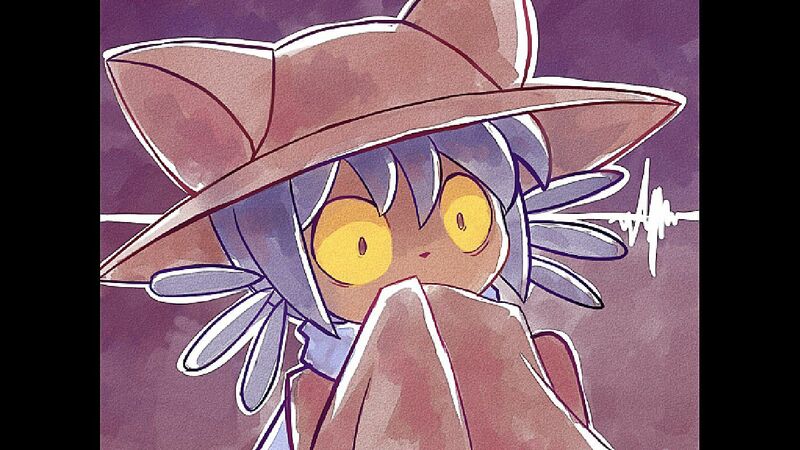 When the game loads back up, Niko wakes up to find a clover in his pocket. This is the puzzle I spent the most time with and the puzzle that made me the most frustrated. At this point, Niko is in a black room that just has a bed and a computer terminal. Talking to the terminal closes the game and no matter which direction you walk, you will circle back around to the bed and computer. I tried everything I could think of to complete this puzzle. I equipped the clover and tried to interact with anything. Unfortunately, the only things you can interact with are the bed and the computer. Attempting to interact with the bed does nothing and trying to interact with the terminal just closes the game again. I spent a good hour and a half trying to figure out this puzzle. I ended up having to go into the game's Steam forums to find out how to pass it. This all leads into my next point which is the lack of direction you get from this game. From the very beginning of the game, you really aren't told anything. On a couple of occasions, you'll find an item glimmering from something, but from here, you have no idea what to do with it. A lot of the game is just trial and error. 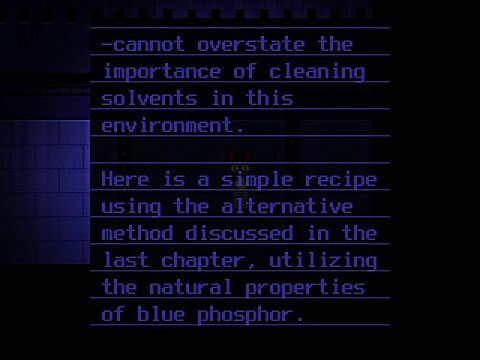 To the game's credit, once you came across the thing an item needed to be used on, it was pretty clear what you needed to progress. But, there were many occasions where something would be a multi-part puzzle that felt like it was needlessly extended. One example of this is early in the game where you have to power up a generator. You find all of the parts that you need to build the battery. From here you place the newly built battery into the machine, but oh-no! The battery needs to be charged. From here you have to find the items to charge the battery. You build a new apparatus to charge it and finally charge the battery to progress. It just ended up feeling tedious. The moments I struggled the most with were when I felt like I was wandering around not knowing what to do. In all of the areas of the game, I spent a lot of my time just wandering around hoping that I would stumble into the next thing I needed to progress through the game. This wouldn't be a problem if there was something to do while wandering, but there just isn't. There is a fast traveling aspect to the game, but I found that I used it very rarely. If there was some way to subtly guide the player along on their journey, that would be much better. If this game was rated on aesthetic alone, it'd be getting a ten out of ten. I feel that the best aspect of this game is it's look. This game is absolutely gorgeous. The pixel art is some of the best I've seen in a while. On top of this, there are moments where we get to see some hand drawn art that is outright fantastic. During the game, Niko will tell you that he's feeling tired and ask if he can lay down for a bit. When Niko goes to sleep, the game closes. Upon booting back up the game, you find that you are watching Niko's dream. All of the dream sequences have some hand drawn art that is absolutely fantastic. On top of this, all of the characters' designs are phenomenal. I think my favorite group of characters are the ones you find in the Refuge. If this game was rated on aesthetic alone, it'd be getting a ten out of ten. At the beginning of this review, I said that I felt that Undertale mastered the concept of the meta game. It executed its story in a masterful way with unique characters that felt like they had a life outside of the events of the game and was able to bring the player into the story in a fantastic way. I mentioned this because it feels like OneShot is trying to capture that same feeling. Unfortunately, I just don't feel like it is able to deliver on that. I think it was on the right track. With the great aesthetic, interesting interactions with the player, some intriguing meta mechanics, and cute moments, it had some of the right parts to the formula. But, because of the lack of a sense of direction, characters that felt like they were there just to aid you in your mission and had no outside lives, and a story that felt incomplete, it just isn't able to stack up. I feel like it would be better if you were able to go back into the game and exploring it again to open up new paths and new pieces of the story. Unfortunately, OneShot means that you only have one shot to play the game. After you make the final decision, the game is over and you can't go back. 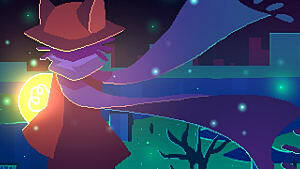 As of now, OneShot has its moments, but ultimately falls short in being something that you'll want to go back to and explore over and over again. 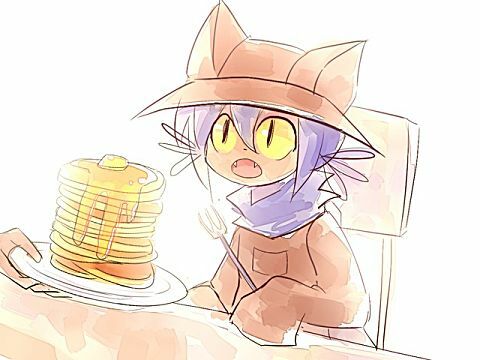 While it has gorgeous art and plenty of cute moments, OneShot fails to deliver a truly memorable experience and left me wanting much more.